In celebration of our tenth year anniversary, Pink Events is proud to announce the appointment of our first patrons. Steve is the winner of the 2018 Royal Television Society West of England Presenter award, and has also won a Sony Gold award for his Radio work. Steve is a well known TV and radio presenter, writer and producer and has been supporting Pink Events since the beginning, helping us to raise over £200,000 for Leeds Breast Care Unit, St James’ Hospital and Cancer Research UK. Known for his versatility and wit, Steve, who has worked across all networks, including the BBC and ITV, has compered every Pink Ball since 2006, encouraging our generous attendees to part with their hard-earned money in support of these two worthy causes. Out of the goodness of his heart, and determination to raise as much money as possible, he has provided countless hours of entertainment at no cost. Without Steve we would not have raised nearly as much as we have and we thank him from the bottom of our hearts – long may our relationship continue. “I’ve been involved with Pink Events since the Committee decided they could be more successful if they registered as a Charity in 2014, helping them set up the company and guiding them through the registration process. Since then I’ve helped Maureen and the other Trustees comply with the various requirements of being a Trustee. 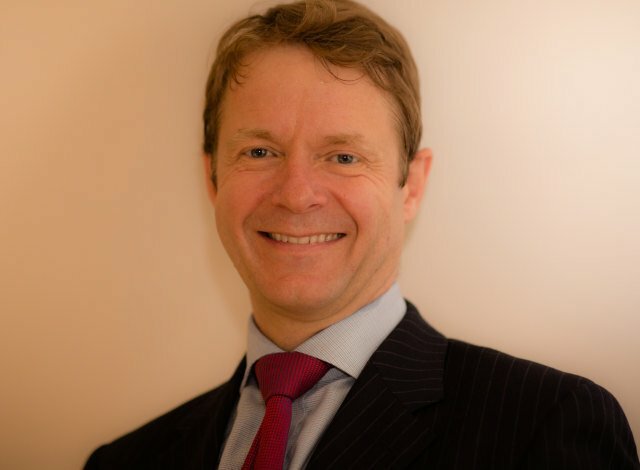 Philip Turton is a Consultant Breast Oncoplastic and Aesthetic Breast Surgeon. He works at the Leeds Breast Unit where he was appointed in 1994. The Leeds Breast Unit serves a population of over 1 million people and sees many thousands of women through its doors each year, of whom there will be approximately 600 to 700 newly diagnosed with with breast cancer. Philip is therefore part of a very large multidisciplinary team of medical and clinical oncologists, breast care nurses, breast radiologists, research nurses, breast pathologists, breast ward nurses, family history team and surgical colleagues. The Leeds Breast Unit is based in Chancellor’s wing at St James’s Hospital near to the huge Oncology centre which is in the adjacent Bexley Wing. The Breast Unit is recognised nationally for its commitment to a broad range of research, reconstructive work, training, work at national committee level, and cohesive collaborative and patient focused way way of working. 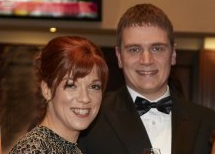 Philip is married to Katy Turton who is a GP in Tadcaster. They have 4 children. Philip is also a keen cyclist and has a busy training schedule. He is a member of the Yorkshire Road Club and each year he competes in regional road races and time trials at 10, 25, 50 and 100 miles. Philip is committed to working in all manner of ways to improve the services to breast patients in Leeds and is delighted to be Patron to the important fundraising work from the hard working Pink Events Team. The Leeds Breast Unit has benefited in so many ways from this vital charity work and this transforms in better outcomes for patients and a better patient journey. “I have been a DJ for about 15 years now and over the years I have been involved to some extent or another with work for various charities. Every single charity that I have been involved with has been extremely deserving, but Pink Events struck a real chord with me. The family have all pulled together and worked very hard in their fantastic fund raising efforts. They have put on some amazing events such as The Curry night, Hog Roast and one of my personal favourites, the Fashion Show and of course the big event of Pink Event’s calendar, the Pink Ball. These events are the ones that I am extremely proud to be asked to provide a Disco for. What’s more, the aforementioned events are not the only ones that are held, there have been lots of other events such as the Wine tasting, ladies lunch, the list goes on and on. How do you organise all these events? And to such a high standard? It’s beyond me. Amazing. Richard is the Chief Executive and major shareholder of Mailway Packaging Solutions, the UK’s leading independent contract packer whose customers include Mars, Diageo, Kelloggs, M&S, William Grants, McDonalds. 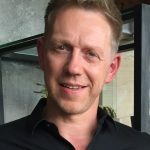 Having qualified as an Accountant, and with an Institute of Directors Diploma he has spent the last 22 years building up this successful business which now employs over 600 people with a turnover of £16 million. Family Life : 4 children, 3 of whom now work at Mailway too, and the next generation already started with a grandson. With his partner, Liz, Richard spends his time between Leeds and Whitby. He has two dogs and 10 cats which are mainly from Leeds Cat Rescue. He also keeps chickens so there is a good supply of fresh eggs! Interests : Richard is a massive Leeds Rhino fan and does not miss a home game if at all possible. He is also a very keen gardener and his garden has won the Leeds In Bloom Gold award for the past two years. Aside from this he enjoys walking his dogs, mountain biking and the gym. Holidays are fitted in whenever possible including an ever-increasing Big Family Adventure which now seems to be an annual event!